How Will Israel Fare in the Trump Era? We may see the death knell of the two-state solution—and that’s where Netanyahu’s headache begins. On the face of it, it would seem that Benjamin Netanyahu’s troubles—if he had any, by the end of Barack Obama’s second term—are over. The Israeli prime minister has done more than any of his predecessors to make support for Israel into a partisan issue in the United States, campaigning hard for Obama’s Republican challenger in 2012. He stayed out of the 2016 campaign, but this was because it was almost a win-win: Hillary Clinton was to the right of Obama on Israel, while the support of any Republican nominee for Israel was almost preordained. What’s more, the ultimately triumphant nominee and Netanyahu see eye to eye on at least two crucial topics: the legitimacy of Israel’s settlements in the occupied West Bank, and the risks of the nuclear deal with Tehran. Nevertheless, Netanyahu does have reasons for concern, on almost every front. It is difficult to imagine Trump displaying more determination than his Oval Office predecessor or his erstwhile Democratic opponent in resolving the Israeli-Palestinian conflict. While he will probably stop short of declaring the two-state solution dead and buried, he is unlikely to attempt anything like a moratorium on settlement construction or apply any pressure on Israel to comply with international law. Although Trump made vague promises to solve the conflict for “humanity’s sake,” he does not seem to have a plan. Nor, it would seem, does anyone else around him, and he has yet to mend bridges with the Republican establishment sufficiently to attract any reasonably experienced and knowledgeable diplomats to his service. It’s highly unlikely, therefore, that we’ll see a substantial diplomatic initiative coming from Washington any time soon. As with many other aspects of Trump’s ascendance, the threat comes not so much from concrete policy yet to be declared as from a normative shift already under way: The two-state solution and international law seem fated to rapidly lose luster as standards to which Israel is expected to adhere, even in lip service. Naftali Bennett, Netanyahu’s education minister and chief critic on the right, has raucously cheered this prospect, and he urged the prime minister to make use of Trump’s rise to declare the two-state solution dead and annex areas of the West Bank to Israel. This is also where Netanyahu’s headache begins. As a lifelong Greater Israel nationalist who built his entire political career on opposing partition of Israel-Palestine, Netanyahu has precious few ideological differences with Bennett. However, as a cautious, pragmatic nationalist, Netanyahu’s approach has always been to achieve the same ends through osmosis, steadily deepening Israel’s hold on the West Bank through settlement and infrastructure construction, incrementally easing the movement of goods and people across the West Bank, and keeping large-scale conflagrations contained to the Gaza Strip. Rubbing this process in the face of Palestinians and the world by formally annexing even the less populated areas of the West Bank makes no practical sense to Netanyahu—if anything, it invites huge political risk in exchange for very little: Even if Palestinians don’t rise up and the world does not impose on Israel sanctions comparable to those imposed on Russia over the annexation of Crimea, this opens the door for Palestinians in annexed territories and beyond to demand voting rights, which in the long run would spell the end of the Jewish State. This is a big risk to run in exchange for a legal formality that will give Israel few privileges it doesn’t already enjoy as the occupier, while loading it with a host of responsibilities as sovereign. Under Trump, international law generally may be set back at least a decade, if not half a century. So long as Obama was in the Oval Office, Netanyahu could indicate understanding for Bennett’s expansionist drive, but argue convincingly that the world—especially the United States—wouldn’t stand for it. 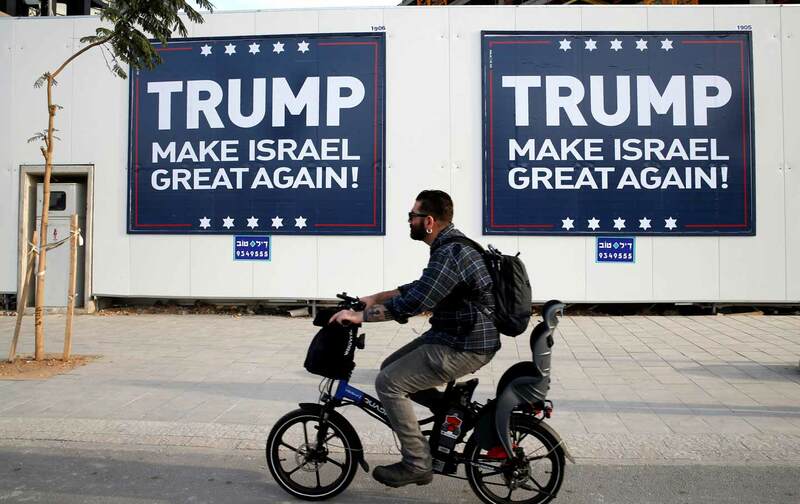 Trump’s rise could take Netanyahu’s alibi away. International law generally may be set back at least a decade, if not half a century. It’s not at all clear if even the existing sanctions on Russia will outlast Trump’s first 100 days; sanctions on Israel, whatever it chooses to do, are out of the question, at least from a Trump administration. Europe’s fledgling, newly assertive course on the two-state solution began to take hold in the shade of US inaction; it might not survive an American about-turn, and anyway, Europe looks set for a right-wing tide of its own, which might well ease the risk of European pressure without too much persuasion either from Israel or the United States. Nevertheless, the potential for a violent backlash to Israel’s occupation in the short term and Palestinian demands for enfranchisement in the long run remains. For the time being, this should be enough to keep Bennett’s annexationist drive confined as an instrument of leverage against Netanyahu, to ease movement on other issues. Two topics already on the table are legalization of settlements that are now illegal under Israeli law and reform of the process of appointments to the Supreme Court, with the aim of directly subjugating the judicial branch to the legislative—a process that minister of justice Ayelet Shaked has already begun. All these goals are more attainable than annexation, but facilitate it in the long term—so for Bennett, ticking off the former while calling for the latter is a win-win. In a way, Netanyahu has been more fortunate on the issue of Iran. The Islamic Republic’s alleged pursuit of the Bomb has long been the prime minister’s singular obsession. After he conceded defeat on the nuclear deal and all but abandoned the topic, not one of Netanyahu’s domestic allies or opponents ever brought it up; the Israeli public never particularly cared for it in the first place. Domestic pressure on this particular front is unlikely. The Hezbollah-Iran-Syria-Russia threat remains real for Israel—and this is where Trump might turn out to be bad news. But while for Israel, the Palestinian issue is all but contained and an Iranian nuclear bomb is more unlikely than it has ever been, the conventional threat posed by the Hezbollah-Iran-Syria-Russia axis remains very real—and this is where Trump might turn out to be bad news for Israel. If he joins arms with Russia to bring about a total victory of the Assad regime against the rebels in Syria’s civil war, a battle-hardened Hezbollah will be once again free to engage with Israel—not to mention that after a few years of reconstruction, a hostile standing army might once again appear on Israel’s Syrian border, a situation Israel has been relieved of since the uprising against Assad began. With the US aid package to Israel already assured for the next ten years—safe from Trump’s transactional approach to military aid, which could conceivably have exposed Israel to unprecedented pressures—Netanyahu is likely in the foreseeable future to try to limit his engagement with Trump to issues with little security risk and high political return for his constituents: enlisting American security agencies to sabotage the BDS movement and Palestinian solidarity activists, for instance, or leaning hard on Europe to abandon its attempts to differentiate between settlements and Israel proper in its trade stipulations. The entirely non-urgent issue of moving the US embassy to Jerusalem might jam up the airwaves for a bit. But along with the rest of the world, Netanyahu will be watching warily for swings in Trump’s moods and favors. He might even come to miss Obama, after all. Dimi ReiderDimi Reider is an Israeli journalist and an associate policy fellow at the European Council on Foreign Relations.